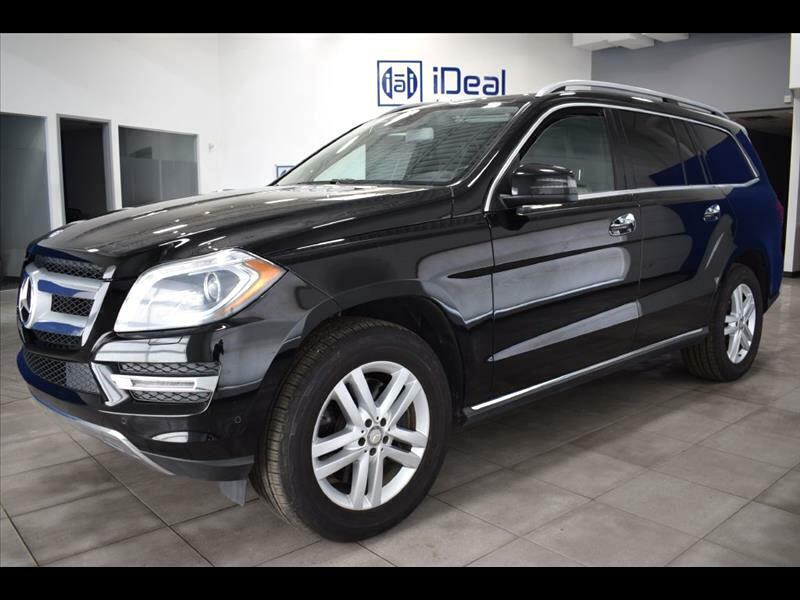 Well maintained 2013 Mercedes-Benz GL450 4MATIC loaded with Towing Pkg; DVD System; Driver Assistance Pkg; Lane Keep Assist; Blind-Spot Alert; Navigation; Panorama Roof; Power Folding Third Row; Backup Camera; Power Liftgate; Heated Seats/Steering Wheel; Towing Package. Black exterior with Black leather interior. Comes with 1 month/1000 miles limited warranty. Additional Extended Warranty Available. Indoor auto showroom. iDeal Auto Imports, meeting your auto needs with quality and value! Conveniently located at 7980 Wallace Road. Eden Prairie, MN 55344, we offer a desirable mix of quality used import cars at competitive price. All of our vehicles are stored indoors, fully inspected, come with a free carfax report and backed up with powertrain warranty. Visit us online at www.idealautoimports.com to see more pictures of this vehicle.